sudo sysctl -w net.ipv4.ip_local_port_range="10000 65000" sudo sysctl -w net.ipv4.netfilter.ip_conntrack_tcp_timeout_time_wait="1"
sudo sysctl -w net.ipv4.ip_local_port_range="10000 65000"
After saving, reboot the system. During initial installation do not do the changes in /etc/ssh/sshd_config. You’ll install the software by SSH to the system as any permitted user and run su nifi to become nifi. The default 8080 is used by Tomcat and many others. This Article Has Been Shared 2804 Times! Here is Part 1 of Installing Local Data Lake on Ubuntu Server With Hadoop, Spark, Thriftserver, Jupyter etc To Build a Prediction System. Apache Ambari Helps Management, Monitoring of Hadoop Cluster. Here is How To Install Apache Ambari on Ubuntu 16.04 to Manage Hadoop Cluster. Hue is Query Tool With GUI For Browsing, Querying, Visualizing Data & Developing Apps for Hadoop. Here is How To Install Hue on Ubuntu 16.04. 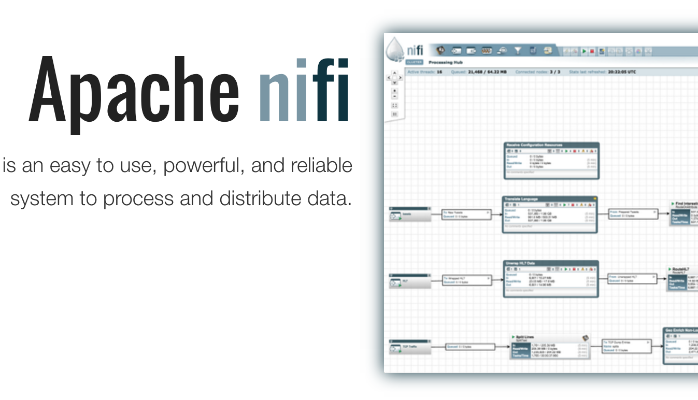 Cite this article as: Abhishek Ghosh, "How To Install Apache NiFi On Ubuntu 16.04 LTS," in The Customize Windows, July 10, 2017, April 21, 2019, https://thecustomizewindows.com/2017/07/how-to-install-apache-nifi-on-ubuntu-16-04-lts/.